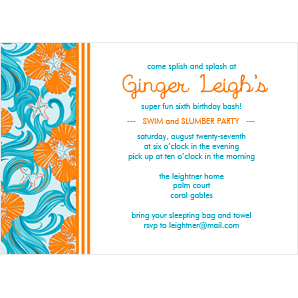 Fun and summer go together with this Do the Wave beach theme invitation by Lilly Pulitzer. Coordinating party goods available! NOTE: Only 7 sets left!